Patricia Russo had her first professional short story, “True Love”, published in 1987 in the anthology Women of Darkness: Original Horror and Dark Fantasy by Contemporary Women Writers, edited by Kathryn Ptacek. Since then her work has appeared in Lone Star Stories, Electric Velocipede, Abyss and Apex, Talebones, Tales of the Unanticipated, Not One of Us, in the anthologies Corpse Blossoms and Zencore, and in many other fine publications. She is that rarest of authors: she has no website, no blog, nothing on the internet to indicate that she even exists — except for a trail of fiction that reveals the prolific and generous writer behind the name. This is her first collection of short stories. 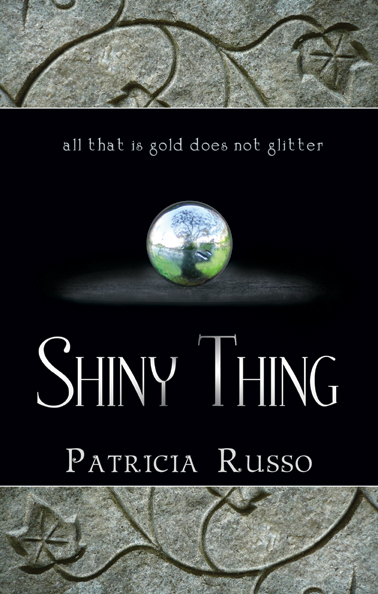 Shiny Thing blurs the lines between fantasy, horror and science fiction. The stories inside are suffused with magic and danger, and will sometimes chill you to the bone. With a delicate touch Patricia Russo reveals humanity in all of its foibles and glorious moments, in settings that range from the perfectly average to the absolutely sublime. You can never be quite sure who is the monster and who is the heroine, and sometimes there is no divide. The characters are people you know, yet they do things you would never expect, and within each story there is one shining thing that somehow changes them all. You know the old saying — all that glitters is not gold. Well sometimes, all that is gold does not glitter. In Shiny Thing, your life depends on being able to tell the difference.